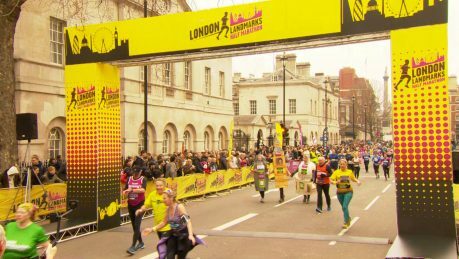 London Landmarks Half Marathon - Timeline Television Ltd.
We will provide 9 cameras, 8 handheld and 1 on bike, all connected across Mobile Viewpoint’s 4G bonding system to capture images of the runners as they progress around the course. The pictures will be fed back to our Ealing Broadcast Centre where FilmNova will use the gallery and commentary facilities. Timeline’s PCR A is a large two row gallery with EVS replay and graphics, sound control, with access to full facilities in a comfortable and accessible production environment. The London Landmarks Half Marathon, owned by baby charity Tommy’s, is the first of its kind to go through both the City of London and the City of Westminster and the 2019 event aims to raise £6m for many good causes. An exclusive live broadcast of the race will be available on the London Landmarks Half Marathon Facebook Page. Radzi Chinyanganya will interview whilst commentators Rob Walker and Rachel Stringer, located in our Ealing commentary booth, will take you through all the action. Find out more about our outside broadcast services and Ealing Broadcast Centre.